After a very ordinary 2016, during which I watched very few great movies, I have been persistently trying to do better this year. And hence, this June I organized another film festival for my lone self. This time I selected ten movies from the 21st century, movies which are considered great but which I had not watched. For this festival, I tried to have an interesting mix, from narrative features to animation and documentary films, and the list boasts of some of the greatest film-makers active today. 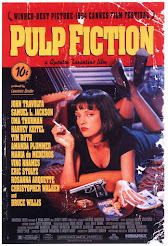 I included some very popular titles as well, movies which most people around me have watched but I hadn't. It has been a tremendously rewarding experience and I may come up with a second edition of this festival very very soon. Gladiator (2000/ UK-USA) by Ridley Scott: This epic historical action-drama was the opening film of my festival. 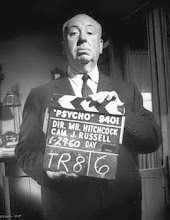 It had won five Oscars, including Best Picture and it was one of the most popular American films I hadn't seen yet. White Material (2009/ France) by Claire Denis: This drama set in the backdrop of an unnamed African nation torn by civil war is the fourth film I have watched of the very acclaimed French director, Claire Denis. To be honest, I still need to watch more of her work and more time to form an opinion of her. The Gleaners & I (2000/ France) by Agnes Varda: Perhaps the most acclaimed documentary of this century, it was a playful watch that left with lots of images and thoughts in my head. I'm glad I selected this for the festival. District 9 (2009/ New Zealand-USA-South Africa) by Neill Blomkamp: This sci-fi mockumentary film was quite a revelation. I was aware of its name but I had no idea that this was going to be anywhere close to this. Such a refreshing take on aliens (OR such a refreshing take on civil unrest everywhere in the world with the metaphor of aliens!) The film was nominated for four Oscars, including Best Picture. Grizzly Man (2005/ USA) by Werner Herzog: Again a very reputed documentary of this century, on the life and death of bear enthusiast Timothy Treadwell, it was an unforgettable experience - those images of faith and horror, and the narration by Herzog. Erin Brockovich (2000/ USA) by Steven Soderbergh: Another popular movie that I had not watched yet, this drama film tells the story of the real-life Erin Brockovich who despite no formal education in the law was instrumental in building one of the biggest lawsuits in American history. Quite an entertaining film, I thought, for which Julia Roberts won an Oscar. But it is only the fifth Soderbergh movie I have watched. A lot remains. L'Illusionniste (2010/ France-UK) by Sylvain Chomet: This Oscar nominated animation was an out-and-out art-house affair, and hence very refreshing for me. With hardly any dialogue, and lacking any remarkable drama, it quietly tells the story of a magician's unending struggles. War Witch (2012/ Canada) by Kim Nguyen: This war drama, again set in a civil unrest in an African nation, premiered at Berlin, winning the Prize of the Ecumenical Jury and Best Actress for the teenage actor. 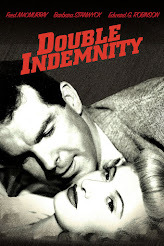 It was Canada's entry at the Oscars that year and eventually got nominated into the top five. A Scanner Darkly (2006/ USA) by Richard Linklater: Out of the thirteen Linklater movies that I have watched, this might be among the two-three least favorite. But this was pending for years, and I had to do it. I was mostly unmoved by it, but the last ten minutes did something and I felt it was an exercise worth taking. 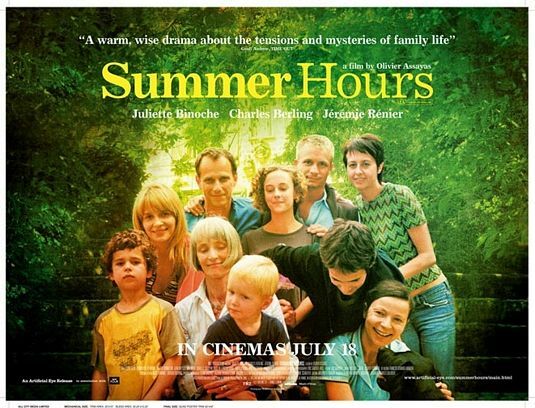 Summer Hours (2008/ France) by Olivier Assayas: What a movie to close the festival's first edition. This is a heartwarming drama about a family and its generations and how they deal with their ancestral house and inheritance while sorting out their own priorities. One of the best movies I have seen this year so far, this is also the 100th film I watched in 2017. Hoping for another 100, at least. I agree with you on many aspects. Yes, in 2016 to till now, I also watched a few high depth stories and movies with quality acting but on the contrary, animated movies got lots of my attention. I opened Movie123 to watch full high quality movies like animated and jungle movies thrice in this month even after watching these movies in cinema. If you have interest in Alien movies then you should must watch District 9. It is a great movie about the presence of Aliens on the Earth. 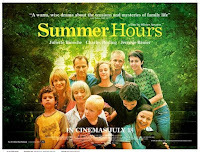 Similarly, Summer Hours is also a classy movie to watch online at 123movies | All123movies.com . 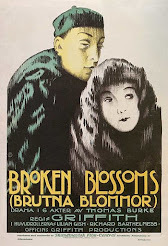 My grandmotherloved this movie as it is based on the decline of elderly lady Hélène Berthier. Great post, I will suggest watching the movies before. I liked many of them. just make sure you watching the right movie for you or tv series.